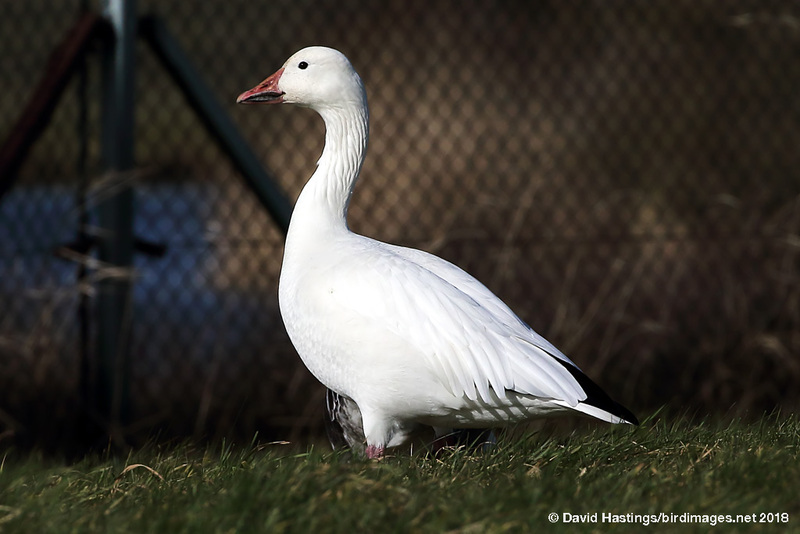 Snow Goose (Anser caerulescens). Taken at Farmoor, Oxon., on February 15th 2018. Taken at Farmoor, Oxon., on February 15th 2018. Snow Goose (Anser caerulescens). Blue morph. Taken at Farmoor, Oxon., on February 15th 2018. Blue morph. Taken at Farmoor, Oxon., on February 15th 2018. 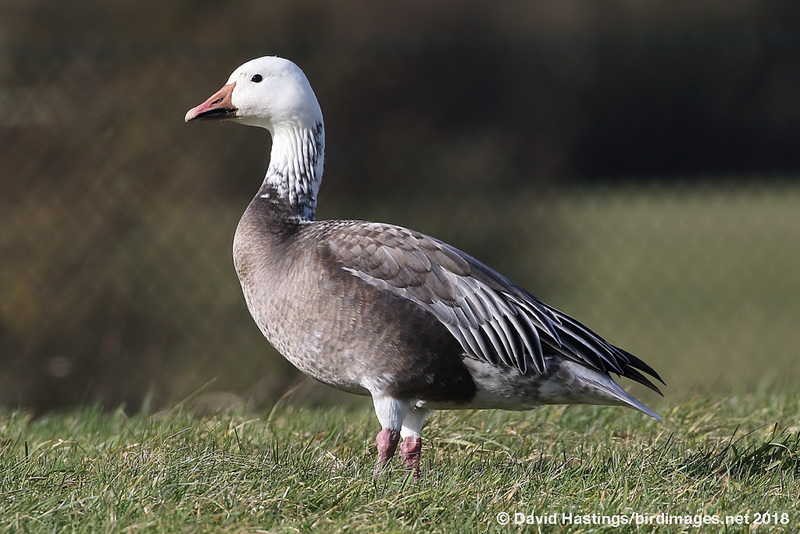 The Snow Goose is a North American species, but vagrants occasionally occur in the British Isles, and there is also a feral population in Scotland. It has two color plumage morphs, white and grey/blue. White-morph birds are all-white except for black wing tips, but blue-morphs have bluish-grey plumage replacing the white except on the head, neck and tail tip. The immature blue morph is drab or slate-gray with little to no white on the head, neck, or belly. This species breeds in the far north of Canada, and migrates to the southern USA and Mexico for the winter. Birds nest in colonies on the tundra. In winter they will feed on any grain crop they encounter. This species is of least concern; the world population is estimated at over 5 million birds.